Support us if you think its time to change the world, childrens and other personal funraiser are important but this is mor important in long term. By our knowledge we want to create a Small Toilet Space which will be cost effective and accessible to women's as well as Men's . Some 70 percent of households in India don’t have access to toilets, whether in rural areas or urban slums. Slums of Jaipur are filled with toxic materials and are unsafe for people to live, most of the people still defecate in the open. Scrap materials are available in huge quality and many architects from around the world are designing home by using scrap materials. We want to help the people by providing a toilet space, using reused materials we can create a toilet space which will be low cost and effective in slum and village areas . This project will come under clean India campaign and help our P.M to achieve the dream of clean and green India. 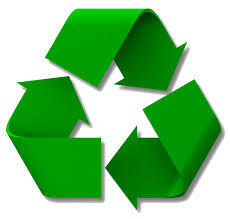 Why Reused & Recycled Materials? It will help in 2 ways. 2. Not harming the environment. 2 Prototype of toilet are in Designing process but most of the work will be done on site on the availability of materials. This will be movable toilet it can be fixed anywhere in slum area or village no need for water in Toilets and the left residue can be used as a compost. This is fixed toilet and can be fixed without much work it will be connected to a water pipe and left overs are collected. Previously we have worked on Recycled and Reused materials to create many art installations in Jaipur, Now we have chance to give something to society. Help us achieve our dream of Recycled Toilets. Your share could be as good as a donation for Nishant Ostwal! Not everyone can afford to take care of their loved ones. Nishant Ostwal's life can only be saved by donations made by kind people like you.